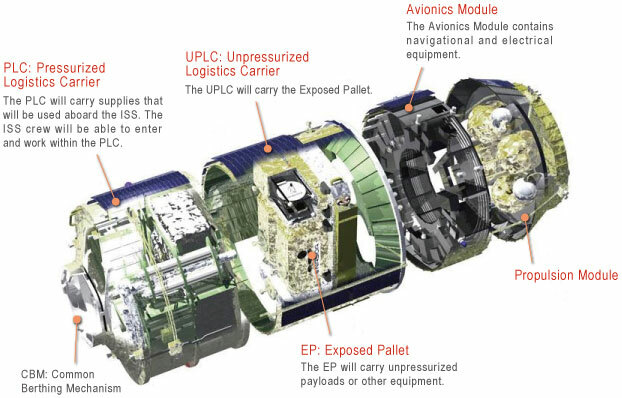 Astronauts will be able to go inside the pressurized module and get new fashion clothes and fancy shiny scientific equipment (and a little bit of beer if they are lucky ;-). They will load garbage and old equipment and send it back to Earth. 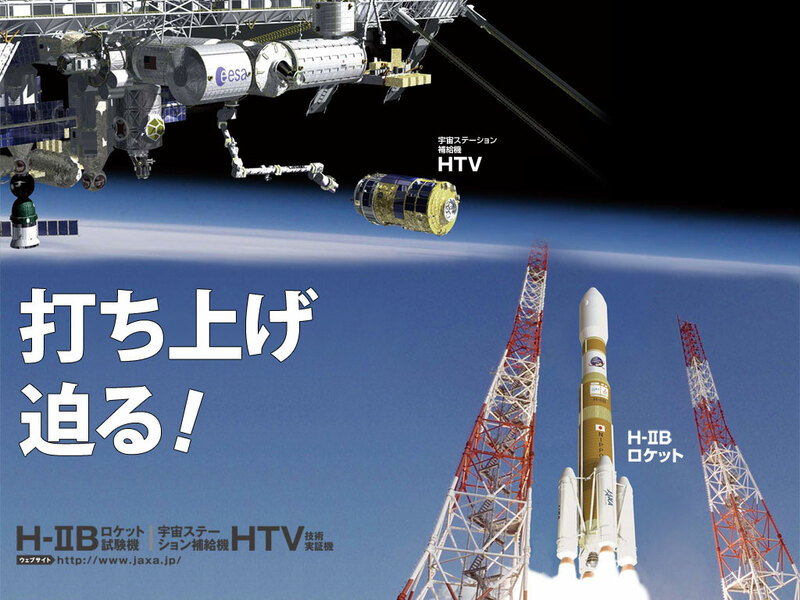 You can show your support for 100% Japanese mission (HTV was built and developed in Japan) by putting wallpapers on your desktop. I did, because I am so glad there are new faces in space exploration. Below is the wallpaper I put on my desktop. Click on picture to view all available wallpapers. Support Japanese space mission by placing one of their wallpapers on your desktop. Click on image to view all wallpapers. Image credit: JAXA. 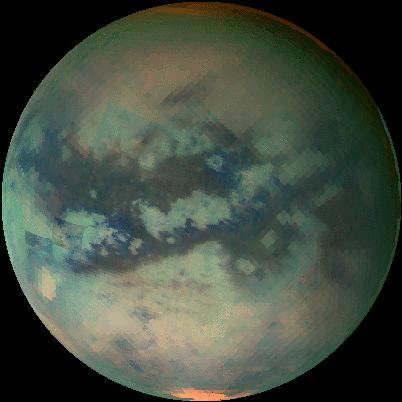 Titan is one of my favourite objects in the Solar System. It is quite big in size (way larger than our Moon) and has nitrogen atmosphere (just like our Earth, but without oxygen). I was very excited when Cassini mission was launched and couldn’t wait to see the results on Huigens probe drop. When scientists were designing that probe they were not even sure if there is a liquid on Titan’s surface, so they made it capable to land on either solid surface or liquid. It appeared that there is liquid there and there is solid stuff too, so cool and Earth like — continents and oceans. Cassini is still out there and exploring Saturn’s system. Recently it detected storm on Titan. Storm as big as India (Titan is way smaller than Earth, storm must have been huge comparing to planet). Again, it’s so Earth like, we recently had Typhoon Morakot (36 picture of wild nature) and Titan — it’s own typhoon without the name, but just as much wild. 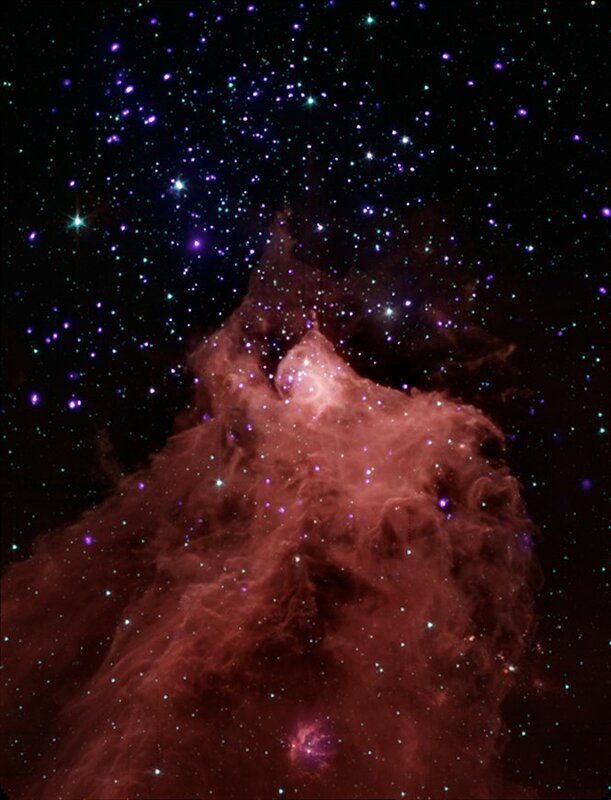 Star formation region pictured by Chandra and Spitzer and combined. Click to enlarge. Image credit: X-ray: NASA/CXC/PSU/K. Getman et al. ; IRL NASA/JPL-Caltech/CfA/J. Wang et al. This cloud you see consists of molecular hydrogen and scientists believe that it’s compressed by the powerful star radiation. When hydrogen compresses, temperature rises and stars are born. All those violet gems you see on the picture — very young stars originated form the same hydrogen cloud. And many of them have protoplanetary discs which will develop into planets later. Chandra site has interactive image where you can see X-Ray part separately from infrared.